Football season’s don’t half stop start in the opening months. With just eleven league games played, we’ve already had three international breaks but now we can get on with club football for a while with no more breaks scheduled until March. I think it is fair to say that tomorrow’s opponents Swansea have been something of a bogy team in the Premier League. We’ve met four times to date and they’ve won all four. In 2014/15 season they beat us 1-0 twice, the first of them in our first away game of the season. They repeated that 1-0 scoreline on the opening day of last season and then won 3-2 in the return at the Liberty Stadium in March. This time, however, we go into the game in good form having won the last two games against Newcastle and Southampton so that gives us the chance to create another record of winning three consecutive Premier League games. The last time we achieved that in a top flight season was in 1974/75. In that season we did it four times, the last of them coming in December/January with a 1-0 win at QPR squeezed between home wins against Carlisle 2-1 and Luton 1-0. We go into the game in seventh place in the Premier League after eleven games. We are below Liverpool and Arsenal only on goal difference and only four points behind Manchester United in second place. We currently have a four point advantage over Brighton who are one place below us. I think it is fair to say that it spells out a start to the season that is far better than we could have ever envisaged but Sean Dyche is in charge of this team of ours, yes he still is, he laughed off the Everton links again yesterday, and while Sean is in charge we won’t get carried away and we will continue one game at a time. The last game saw Jack Cork play against former team Southampton and tomorrow sees him come up against the Swansea team who sold him to us in the summer. “To get up to 22 points with a win on Saturday would be unbelievable,” said the new England international. Cork has been one of seven ever presents in the Burnley team this season in the Premier League alongside midfield partner Steven Defour, wide man Robbie Brady and the back four. I don’t see that changing tomorrow. I’m sure the three Irish lads will be more than capable of shrugging off their disappointment once they get out onto the pitch and I expect them all to play in a Burnley team that is likely to show just the one change. That change will, I think, be forced on us with Chris Wood not having arrived back from international duty until today and having not been able to start either game for New Zealand. It’s a tough one as to who will start in his place. Will it be Ashley Barnes who deputised for him in the Newcastle game or Sam Vokes who scored the winner at Southampton? I suspect Barnes might get the nod meaning we will start with the same eleven who started last time out at home, namely: Nick Pope, Matt Lowton, James Tarkowski, Ben Mee, Stephen Ward, Johann Berg Gudmundsson, Steven Defour, Jack Cork, Robbie Brady, Jeff Hendrick, Ashley Barnes. Subs from: Anders Lindegaard, Phil Bardsley, Kevin Long, Charlie Taylor, Ashley Westwood, Scott Arfield, Sam Vokes, Nahki Wells. Swansea finished last season with four wins and a draw in the last five games. Having appeared to have clawed their way out of relegation trouble, three consecutive defeats in April saw them favourites to go down, but they then picked up 13 points from those last five games to ensure comfortable safety. It had been a strange season that had seen them sack two managers, including Bob Bradley who just had to be one of the worst managerial appointments the Premier League has seen. It all stabilised under Paul Clement and they were very hopeful of a much better season this time round. Unfortunately, the sales of Gylfi Sigurdsson and Fernando Llorente hasn’t helped and the season hasn’t got off to the best of starts with only two wins and a total of eight points from their opening eleven games which has left them next to bottom. The wins, both by 2-0 scorelines, have come at Crystal Palace and at home against Huddersfield. Since the second of those wins in mid-October, they’ve lost all three games against Leicester, Arsenal and Brighton. There is some good news for them ahead of the game. All of Wilfried Bony, Martin Olsson and Renato Sanches are fit to return as is new player/assistant coach Leon Britton. The only player ruled out is Kyle Bartley. In their last game against Brighton, they lined up: Lukasz Fabianski, Kyle Naughton, Federico Fernandez, Alfie Mawson, Sam Clucas, Leroy Fer, Ki Sung-yueng, Tom Carroll, Nathan Dyer, Tammy Abraham, Jordan Ayew. Subs: Kristoffer Nordfeldt, Mike van der Hoorn, Luciano Narsingh, Wayne Routledge, Roque Mesa, Jay Fulton, Oli McBurnie. It was the opening day of the season. Burnley were back in the Premier League after winning the Championship in 2015/16. With the next two games against Liverpool and Chelsea it was paramount that we got off to a good start with at least one point if not all three. That didn’t quite happen as a Leroy Fer goal eight minutes from time gave the Swans a 1-0 win on an afternoon when, I think, it is fair to say we deserved something from the game. Questions being asked about our recruitment were heightened when there wasn’t a single new signing in the starting line up; the only change from the Charlton title winning game coming in midfield with David Jones replacing the departed to Glasgow Joey Barton. Johann Berg Gudmundsson was the only new player to make the bench. Embed from Getty ImagesAll the talk ahead of the game surrounded the speculation that we were trying to sign Belgian midfielder Steven Defour and even Sean Dyche was asked about him after the game. By the time we played again, he was a Burnley player with Jones having departed in a move to Sheffield Wednesday after three years of excellent service. It wasn’t our day. Goalkeeper Lukasz Fabianski was their best player, we had a clear penalty refused and then came that winner, scored by Fer who was the guilty player on that missed spot kick. We twice came close to an equaliser, but it wasn’t to be and so we had to wait a week for the visit of Liverpool to get our first points. 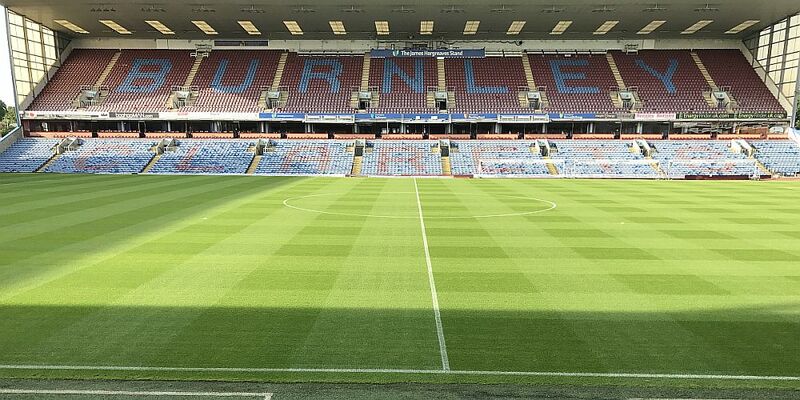 Burnley: Tom Heaton, Matt Lowton, Michael Keane, Ben Mee, Stephen Ward, George Boyd, Dean Marney, David Jones (Lukas Jutkiewicz 87), Scott Arfield (Johann Berg Gudmundsson 75), Sam Vokes, Andre Gray. Subs not used: Paul Robinson, Tendayi Darikwa, James Tarkowski, Fredrik Ulvestad, Michael Kightly. Swansea City: Lukasz Fabianski, Kyle Naughton, Jordi Amat, Federico Fernandez, Stephen Kingsley, Leroy Fer, Leon Britton (Gylfi Sigurdsson 60), Jack Cork, Modou Barrow (Jefferson Montero 64), Fernando Llorente, Wayne Routledge (Angel Rangel 87). Subs not used: Kristoffer Nordfeldt, Mike van der Hoorn, Nathan Dyer, Jay Fulton.